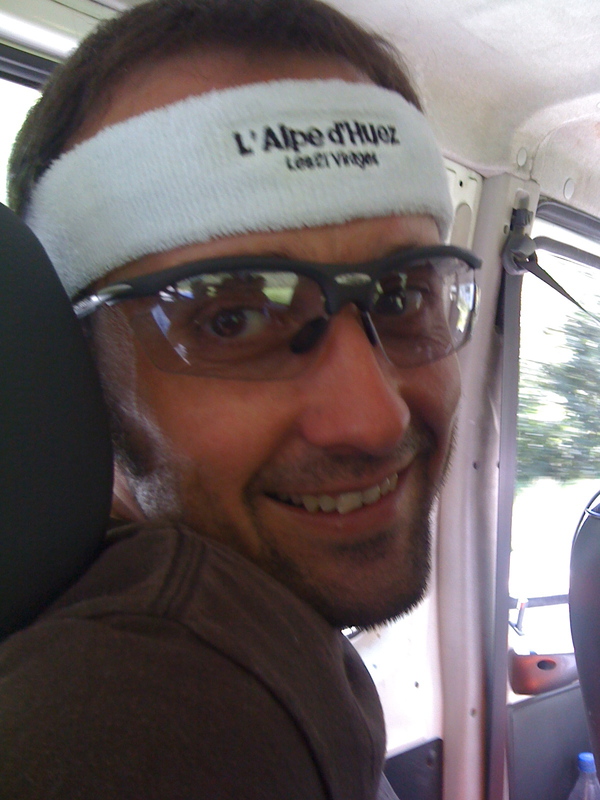 Today sees the Tour take onone of the most majestic mountains in the Alps, le Alp d’Huez. This alone should get cyclists excited. For organisers, ASO, to plan a double bonananza; now that’s got to be a recipe for something extraordinary. We hope. Yesterday’s Time-Trial proved that there’s still a lot to play for. No one seems to be able to bring Va-Va Froome down. Even when isolated the man in yellow is still making time over his rivals. 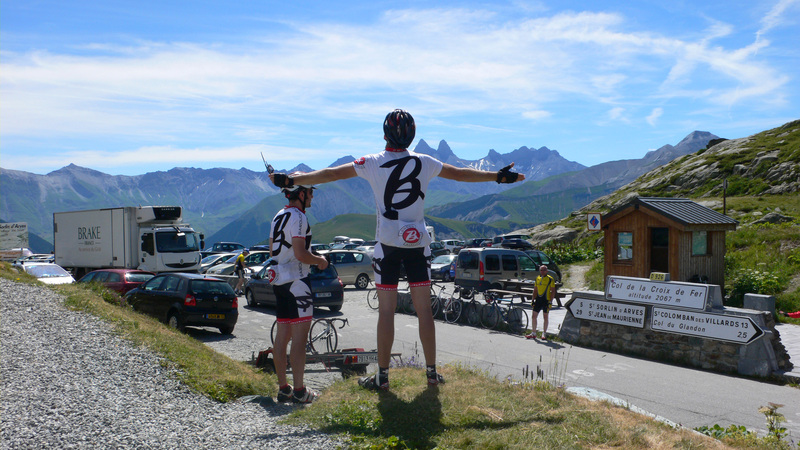 In 2012 and 2010 the Barouduers took tours up d’Huez. It is an incredible experience counting up the 21 switchbacks. So much so, we climbed it several times on both years. That’s not to say it’s the only thing to see: Croix de Fer, St Christophe en Oisans and Galibier. Nonetheless, GC or not, this will be one to watch. Stu, showing some d’Huex love!